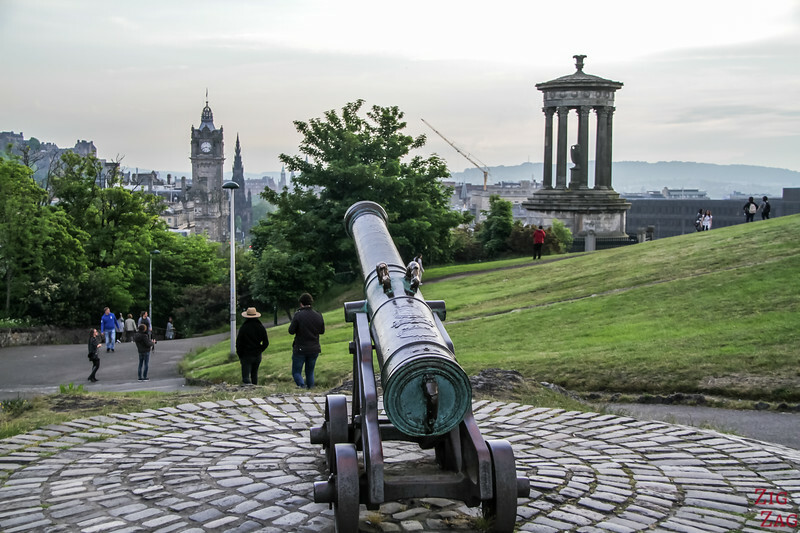 To get some of the best views of the city, walk to the top of Calton Hill Edinburgh. With many Greek inspired monuments and lots of green, it is quite a contrast with the streets of the old town. Definitively worth the climb, especially at sunset to see the old buildings glow. 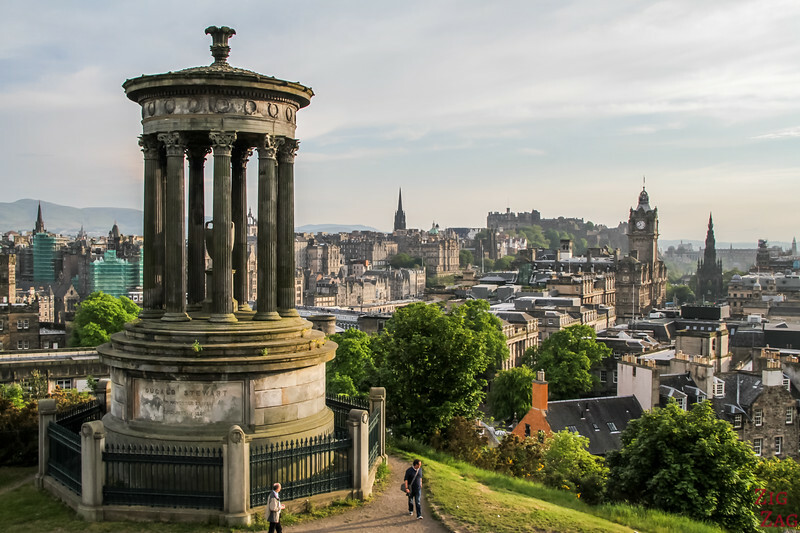 Calton Hill Edinburgh, Scotland, is one of the hills in the center of the city. 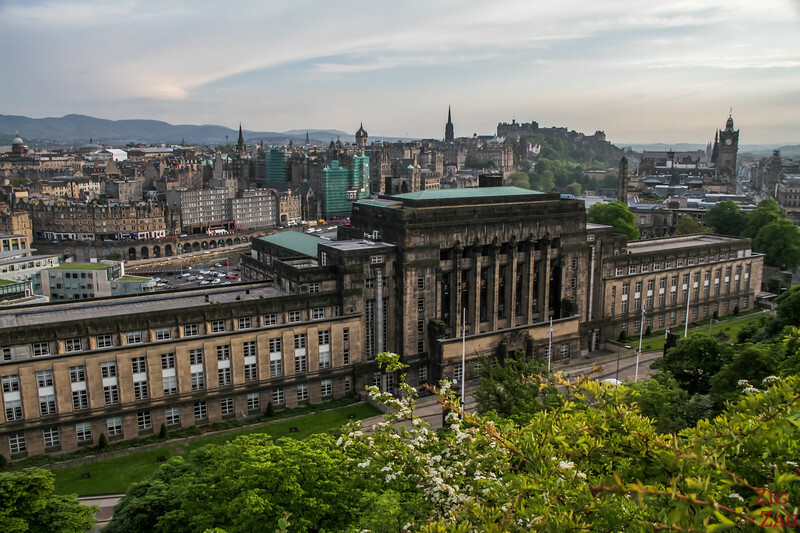 It is included in the Unesco World Heritage site of Edinburgh. 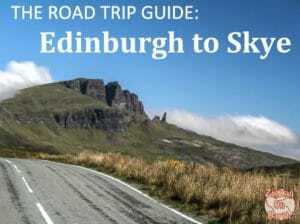 One of the things to do in Edinburgh not to be missed. 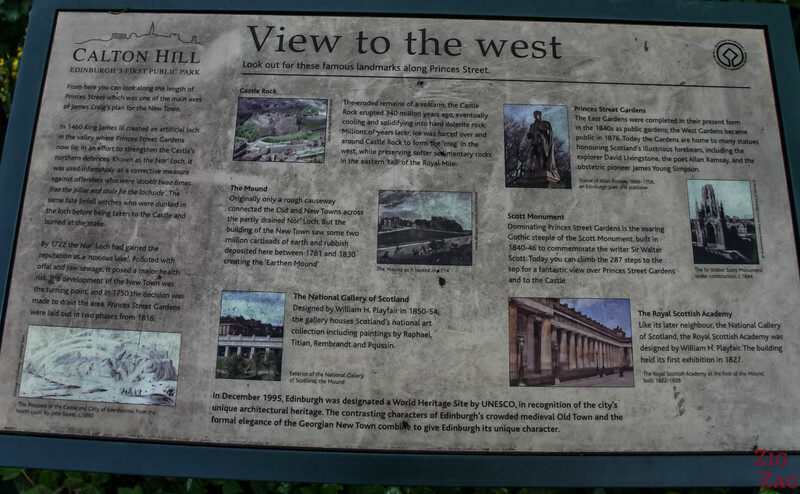 To reach Calton Hill, walk on Princes Street towards the east. 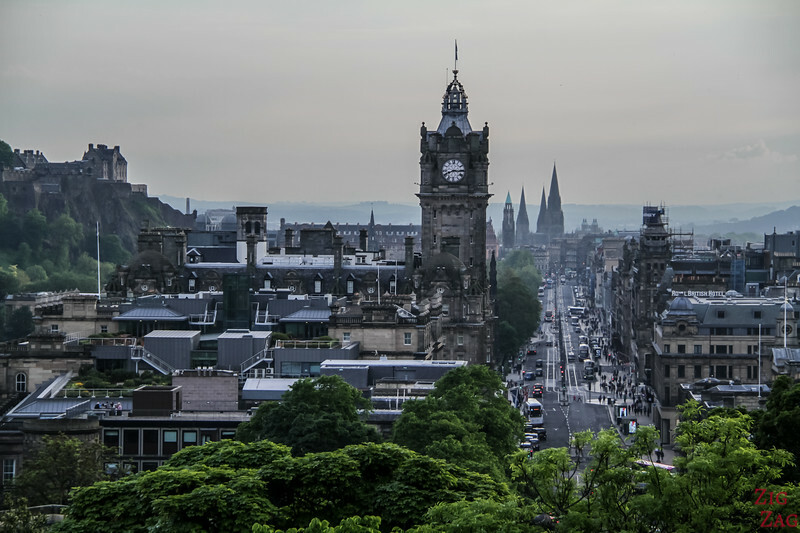 Below is a pictures of Princes Street from Calton Hill. See below the path leading to the grassy area and the the first monuments. This is coming from the Regent Street entrance. 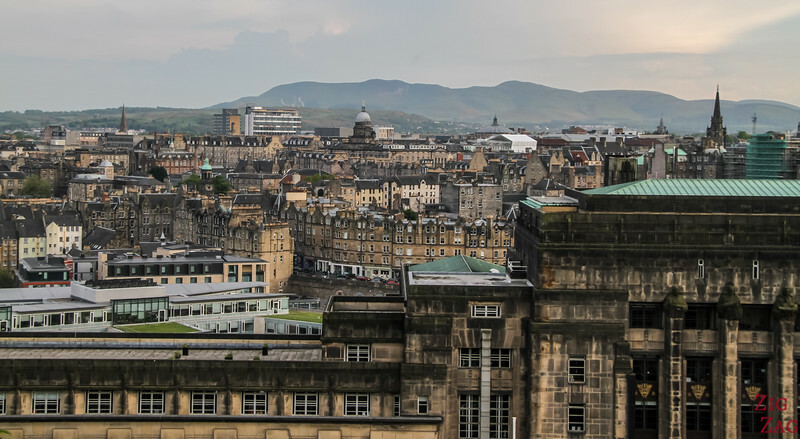 The most famous and most photographed views of Edinburgh is taken from the back of the Dugald Stewart Monument. 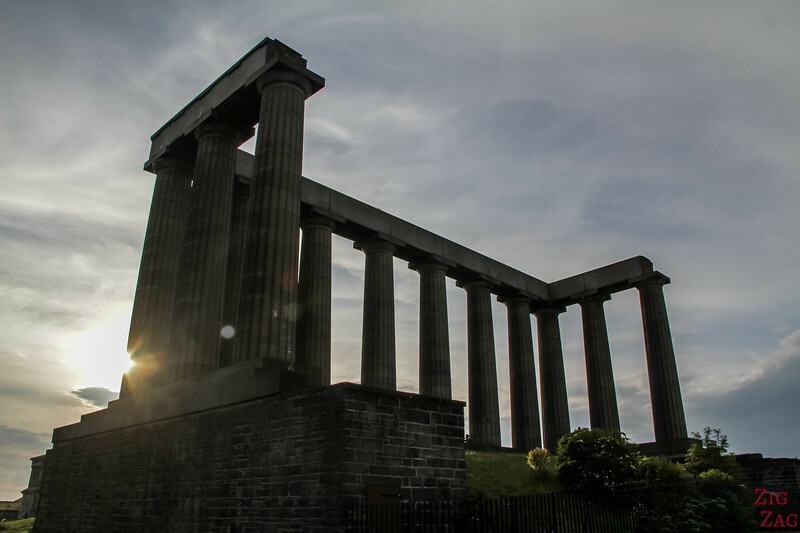 This is a memorial for the Scottish Philosopher Dugald Stewart modeled on the Greek architecture. 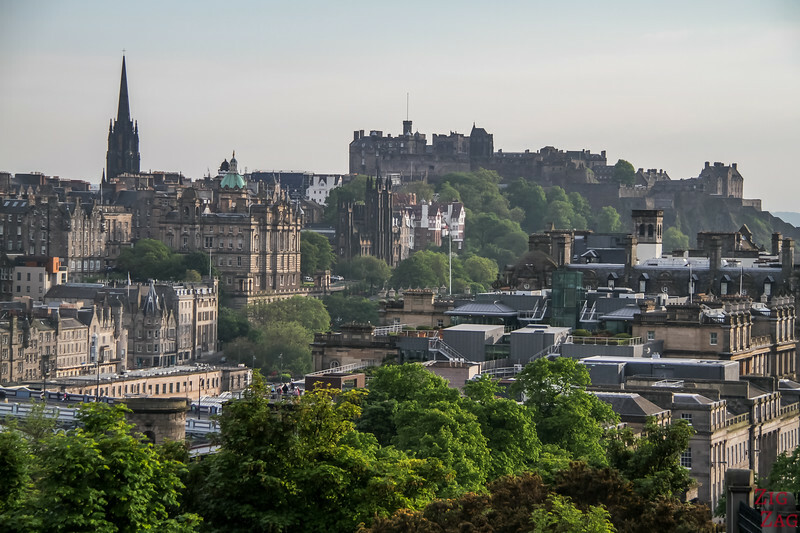 From the Edinburgh Calton Hill you can clearly see the other hill accross the old town with the Edinburgh Castle on top. Can you see in the pictures below the medieval fortress above the other buildings. This is the castle. 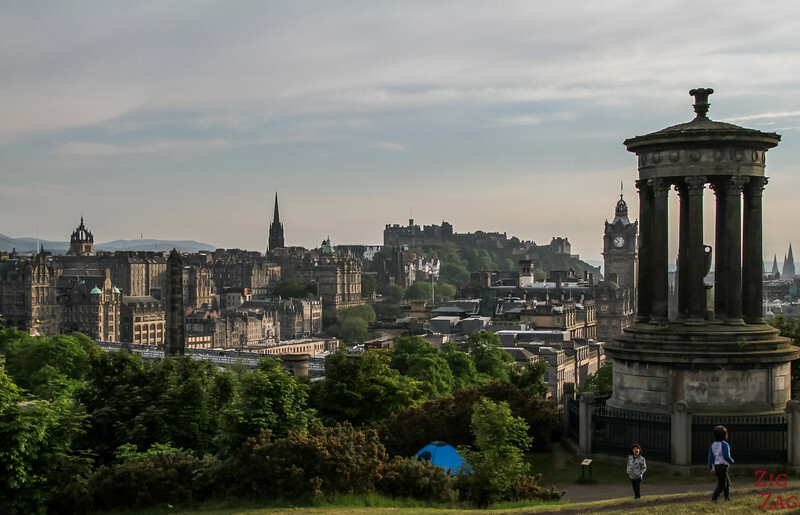 You don't go to Edinburgh Calton Hill only for the views. Many monuments are located there. 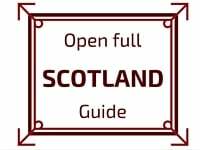 We already talked about the Dugal Stewart Monument. 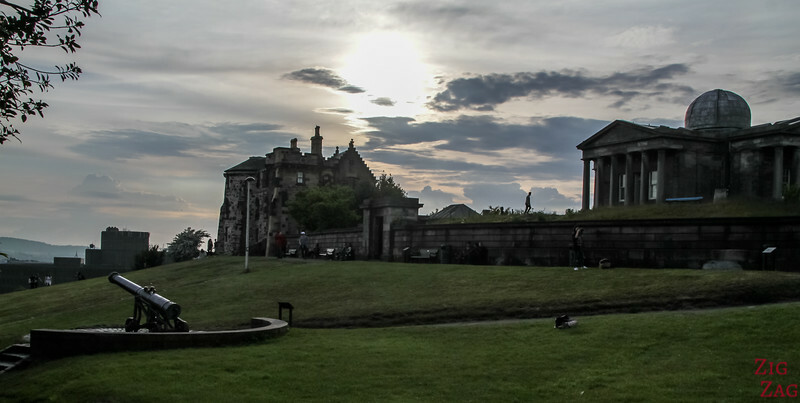 You can also find Observatory House and the Calton Hill Observatory. Inspiration is Greek again. You can learn more on the ROE website. 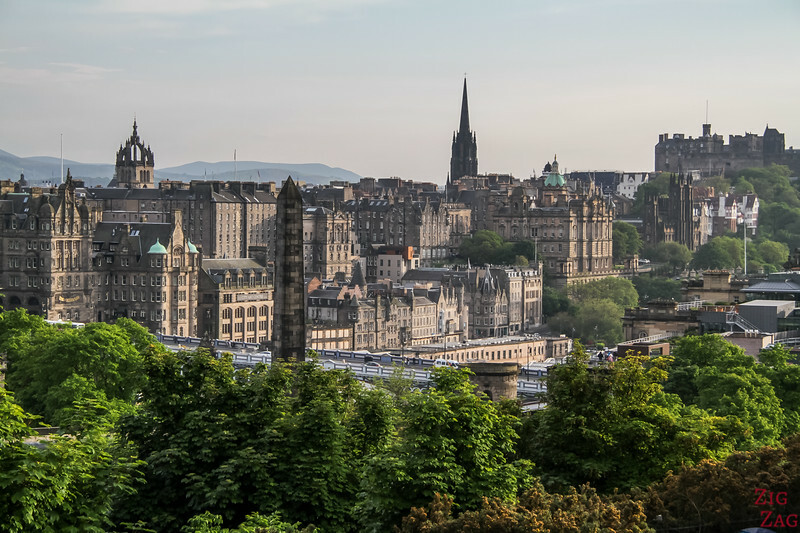 As you walk around the hill, you discover the newest parts of the city of Edinburgh. On one side, you can see the sea and the island of Inchkeith. 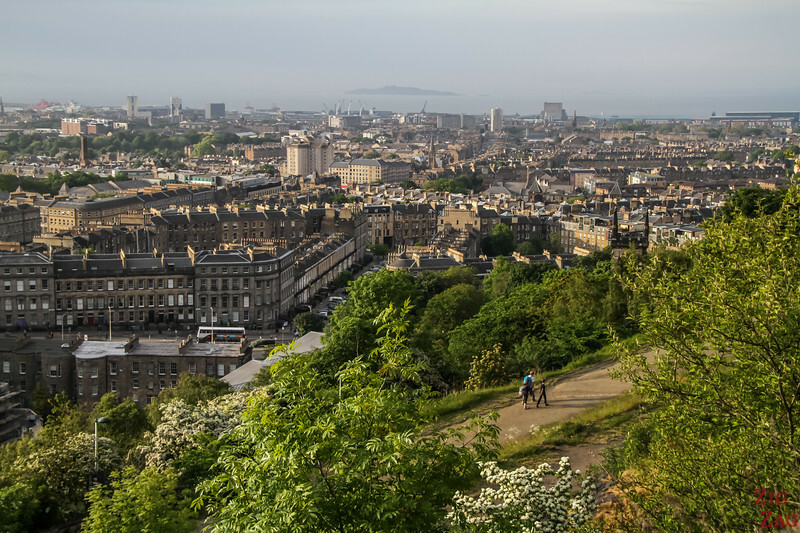 The South slopes of Calton Hill Edinburgh are very steep. From there you have a really good views of the New Parliament House building. 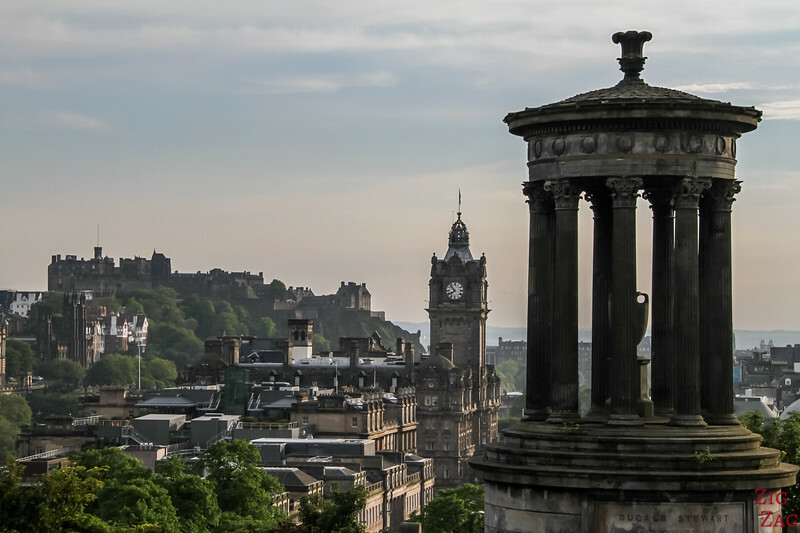 Calton Hill Edinburgh really has 360° views of the city. 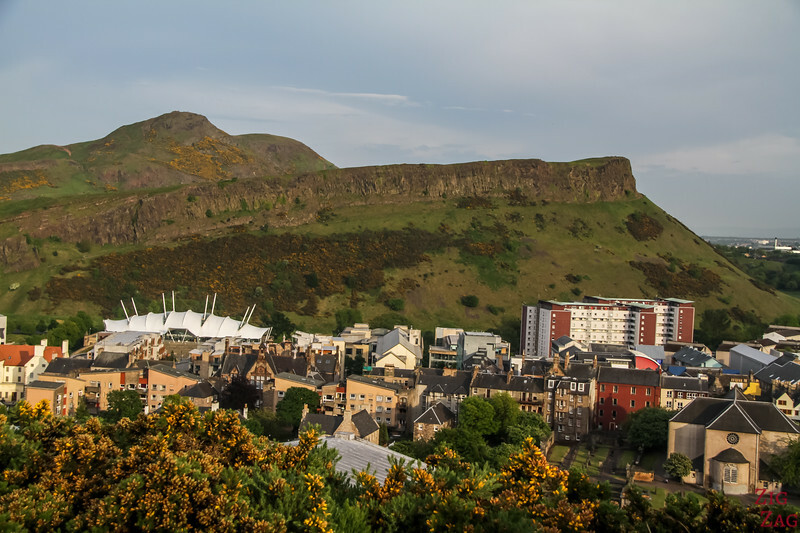 On one side you can see Arthur's seat, the famous volcanic feature. There are some signs set up with geological explanation and benches to admire the view. 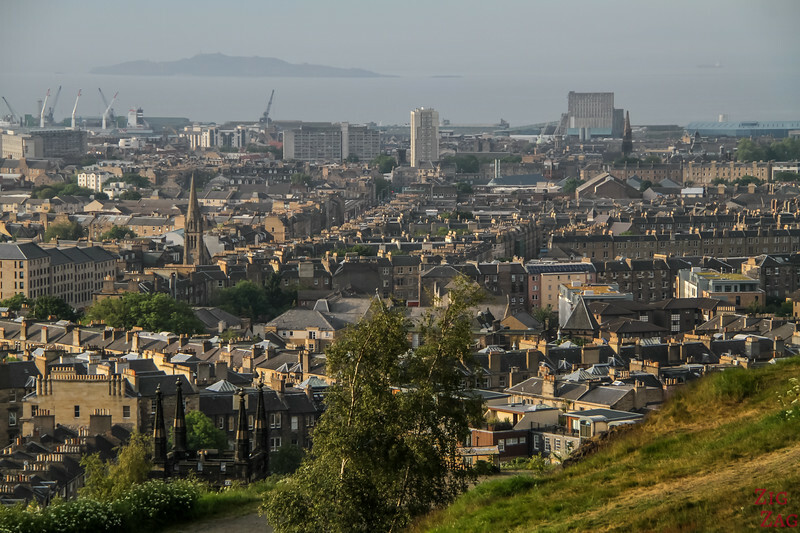 Below is what Edinburgh Calton Hill looks like from afar. 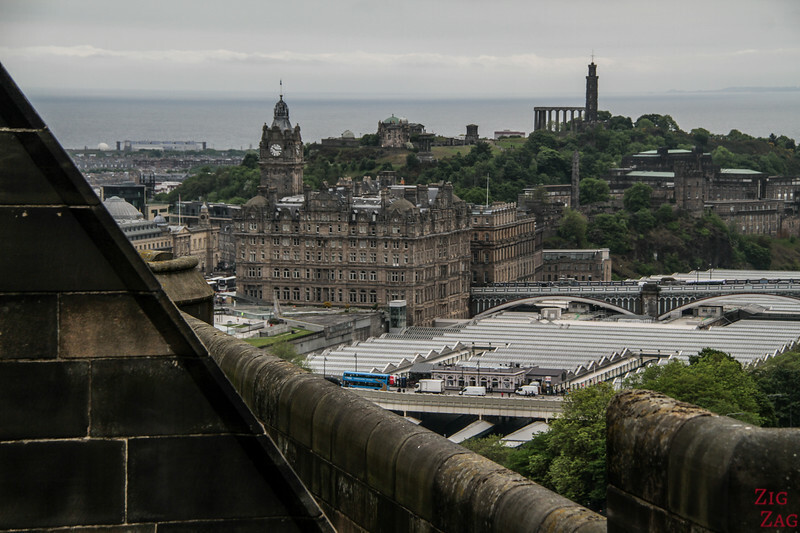 This was taken from the Edinburgh Castle. You can clearly see the Nelson monument and the National Monument. 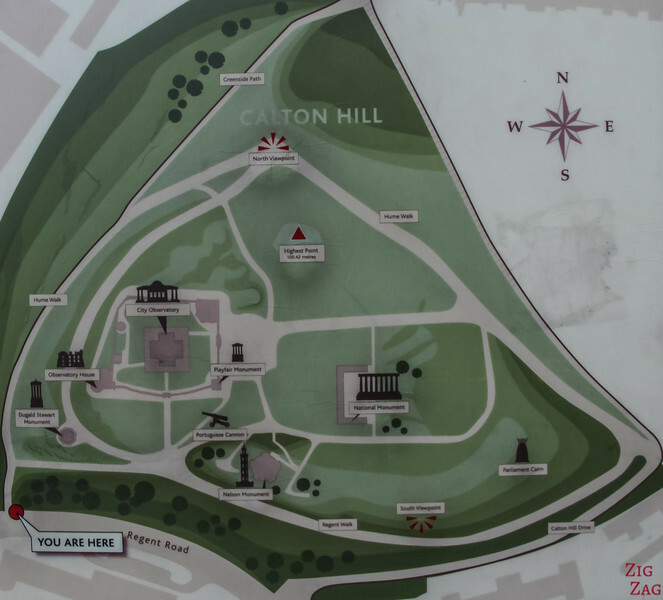 Calton Hill is a park opened all day. 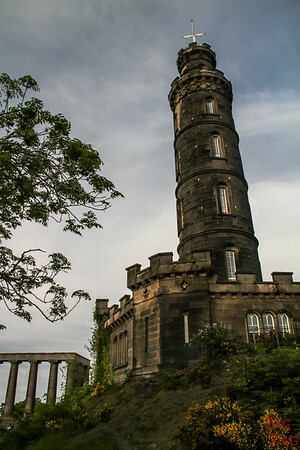 Several monuments are located on Calton Hill. Go to the section below for more information and opening hours. Do you like getting to higher grounds to see cities? Residential roofing gets households out of the cold.